Following the death of author Robert Ludlum in 2001, the Bourne series was left to Eric Van Lustbader to continue the tale. Rather than let sleeping dogs lie, the Hollywood machine has sought to carry on the cinematic legacy with an original spin-off tale, aptly titled ‘The Bourne Legacy’ though not related to Lustbader’s novel of the same name. Paul Greengrass left a legacy of his own behind when, after completing two out of three Jason Bourne thrillers (Doug Liman directed the first, The Bourne Identity), opted out of a fourth. Director and co-writer Tony Gilroy has taken point on this instalment with mixed results. Running concurrently with events from The Bourne Ultimatum, this time the story follows Jeremy Renner (The Hurt Locker, The Avengers) as Aaron Cross – operative in the Department of Defence’s ‘Outcome Program’. When things start to go south for Jason Bourne and the men upstairs decide to start scrubbing the records and tying off loose ends, Cross ends up on the wrong side of the CIA’s clean-up crews. In an effort to stay off the CIA’s radar, Cross joins up with Rachel Weisz (The Fountain, The Constant Gardener) as Dr. Marta Shearing in order to extract information. Meanwhile, Edward Norton (Fight Club, The 25th Hour) lays on the menace as the CIA’s go-to damage controller who sets up a plan to bring down this new rogue agent. Rachel Weisz’s performance definitely has impact – even if an inevitable romantic sub-plot feels shoehorned into place. The Bourne Legacy opens with confidence; it introduces Renner as a resourceful and likeable lead. In fact, the first two acts are great, aided largely by excellent scenery provided the Canadian alps and one sequence involving wolves that shows Liam Neeson in The Grey a few pointers. There’s a palpable sense of one-man-versus-the-world during this half, reminiscent of the best moments in the first three films. As the film begins to stitch together the greater conspiracy at play, piling on new characters, agencies and locations – many not introduced until the third act – things start to lose focus. It’s no longer simply Cross’ story – he is diluted in the set-up of films to come. The Bourne Legacy is here to kickstart a new trilogy and the structure of the film makes that abundantly clear. If you’re here for some Greengrassian shakey-cam action and some quick-thinking hand-to-hand combat however, you won’t be disappointed. From the get-go, Aaron Cross earns his stripes, free-running up walls, MacGuyvering together some great weapons and gadgets. Renner is an outwardly tougher hero than Bourne – perhaps losing some of the genteel subtlety that made Matt Damon so likeable as Jason Bourne. 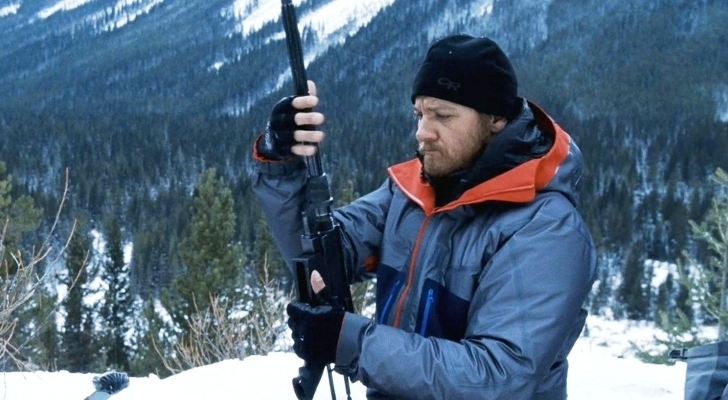 The Bourne Legacy’s first half is arguably its strongest. Renner’s Aaron Cross makes for a convincing rogue agent – perhaps even beyond Matt Damon’s Jason Bourne. It also helps that Tony Gilroy knows how to direct a good performance, and capable actors like Renner, Weisz and Norton show range and complexity here. The support cast is equally strong, and small parts from David Strathairn (Good Night and Good Luck) and Australia’s own Shane Jacobson (from 2006’s Kenny) are particular standouts. Hell, half the audience let out a whoop when Jacobson’s tanned, polo shirted frame entered the film. It’s great to see him getting mainstream work. While the first half is confident and fresh, the second half dissolves into box-ticking action. Despite how well shot and coordinated it is, the climactic action sequence actually lacks …something. Perhaps it’s emotional impact or a sense of satisfying resolution or it’s just too over-the-top and convenient to be convincing. Maybe it’s just not as neatly woven and complex as Gilroy thinks it is – or a combination of all of these things. Whatever the case, The Bourne Legacy falls short despite best intentions. It has all the pieces in play – gadgets, stunts, girls and a top-notch cast – but the tale goes limp and it undermines much of the tension that the first half works so hard to build. That said, it does prove there’s a legitimate and mostly compelling side-story arc here that could (and almost certainly will) be fleshed out. There’s a lot to like about The Bourne Legacy, but it’s hard not to feel a little worried that the rich complexity of Ludlum’s past work might be lost in the transition—and that’s a legacy that really needs to be upheld.